June 7, 2019; 6:00 p.m. 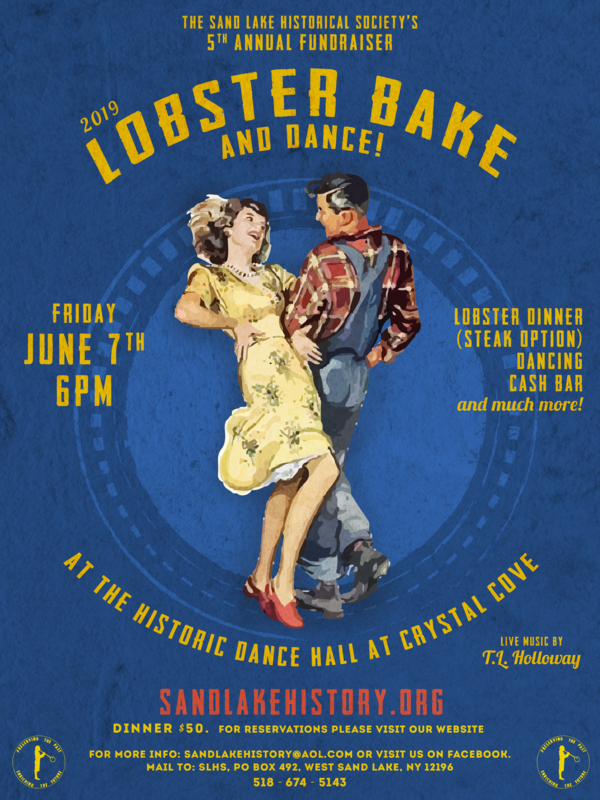 The Board of Trustees of The Sand Lake Historical Society is pleased to invite you to our 2019 Fundraiser – Lobster Bake and Dance on Crystal Lake, to be held at historic Crystal Cove in Averill Park on Friday, June 7, at 6:00 p.m. We also invite you to join the Honorary Committee for the event. 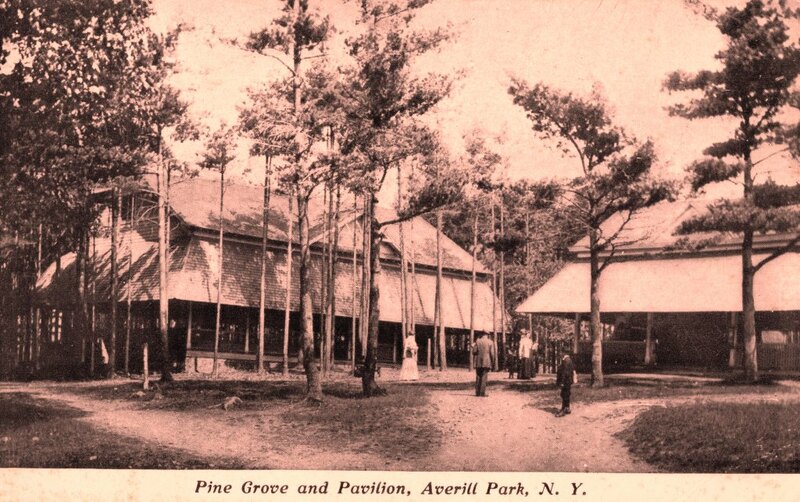 Crystal Cove has been in the same family since 1896. A display will recall the days of the Carousel and other rides, the Dance Hall, and notable visitors to this historic local landmark. The Lobster Bake (with a steak option) will be served with homemade strawberry shortcake for dessert. Enjoy live music by the T.L. Holloway Band, dancing, a cash bar, silent auction of birdhouses decorated by local artists, raffles, and more. Please consider ordering individual tickets, joining our Honorary Committee, or perhaps donating a raffle item or gift card for the June event. We hope you will join us for a fun, old-fashioned hometown night out with friends and neighbors! 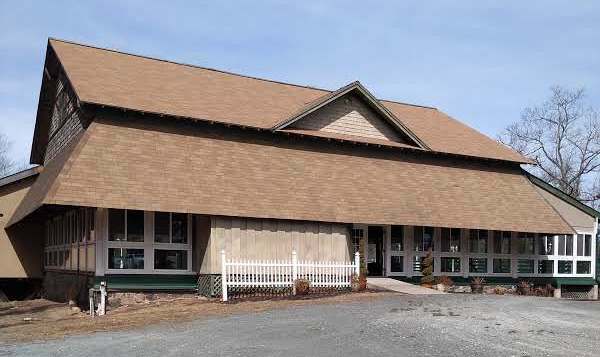 4/3/2019; revised April 8, 2019 -- asm © 2019 Sand Lake Historical Society; all rights reserved.